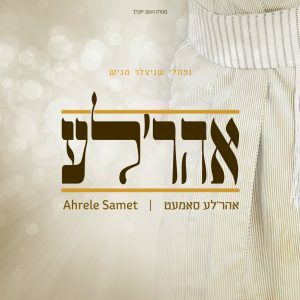 After a nerve-wracking wait full of expectations he is finally exploding on to the scene with his own album: Ahreleh Samet in his debut album! 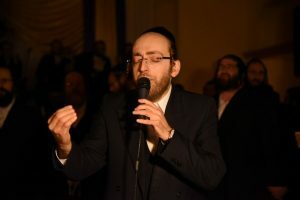 For close to twenty years he has been in the world of Jewish music, appearing here and there in various different projects, sometimes as a guest and sometimes as the soloist. However, a proper and real album where he is fully involved in its entire production was always just a dream for him. Through heavy teamwork with conductor Naftuli Moshe Schnitzler over the course of many years, the project took on a shape and body, and now, Ahreleh’s new album is coming to a close. Many parts of the album have already taken on as major hits while they were still just being recorded, and what is expected is that this will be a rich and promising album that has not been heard for a very long time. The list of composers involved in this album includes the Skolener Rebbe. His song, which opens the album, touches Ahreleh deeply in his heart. The rest of the list is R’ Pinky Webber, R’ Meir Adler, R’ Lipa Schmeltzer, R’ Yanky Daskal, R’ Meshulem Greenberger, R’ Motty Illowicz, R’ Hillel Paley with R’ Shimshi Neiman, and R’ Hershy Rottenberg. The album was also arranged by some of the top arrangers as well, including Moshe Laufer, Meir Adler, Naftuli Moshe Schnitzler, and Yoely Dyckman. The work on the album took a good number of years, during which many new techniques and methods of music production were developed and discovered. The song Lamah-Ayeh has already turned into a standard at many events by many different singers. The incredible sound was mixed by Eli Lishinsky, who infused the music on the album with depth and warmth, and carefully paid attention to every sound and effect until the result was perfect and you would be impressed by it from the first track. This is truly an authentic Chassidic album, but nonetheless it is full of rhythm and adrenaline. It is music on a different level, colorful and refreshing compositions and it seems that Ahreleh is sure to conquer the Chassidic music market in Israel and throughout the world and be with us for a long long time.